We are loving all the fall decor goin’ on but the frugal gals we are, we like to mix n’ match fall/Christmas. 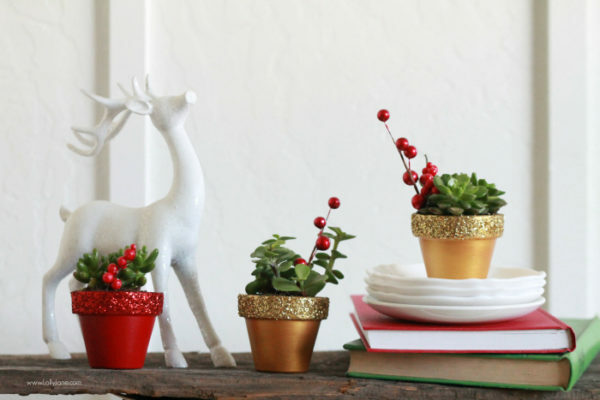 We originally shared these adorable glitter succulent planters at Yellow Bliss Road for her fun holiday series. 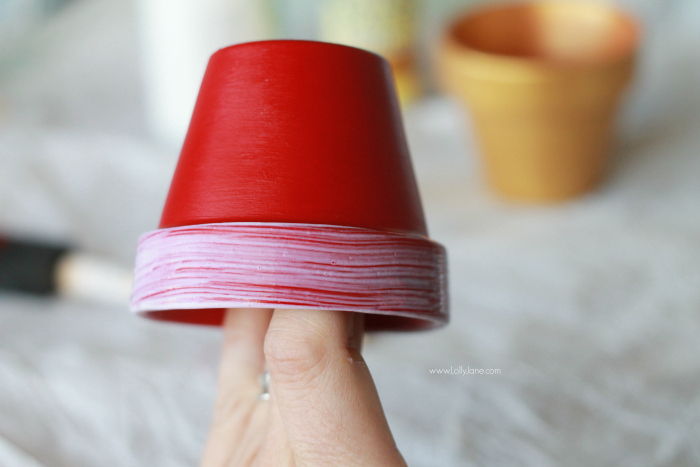 It’s an easy project to whip up since you just need $0.69 pots, a little glitter & paint. If you’re a longtime reader, you know our major obsession with with succulents. And mason jars. 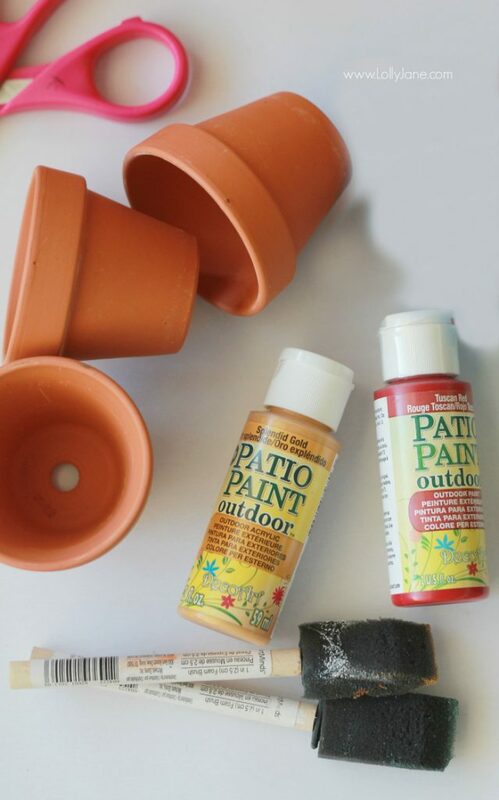 Which is why we decided to switch things up and paint some pots instead of jars. 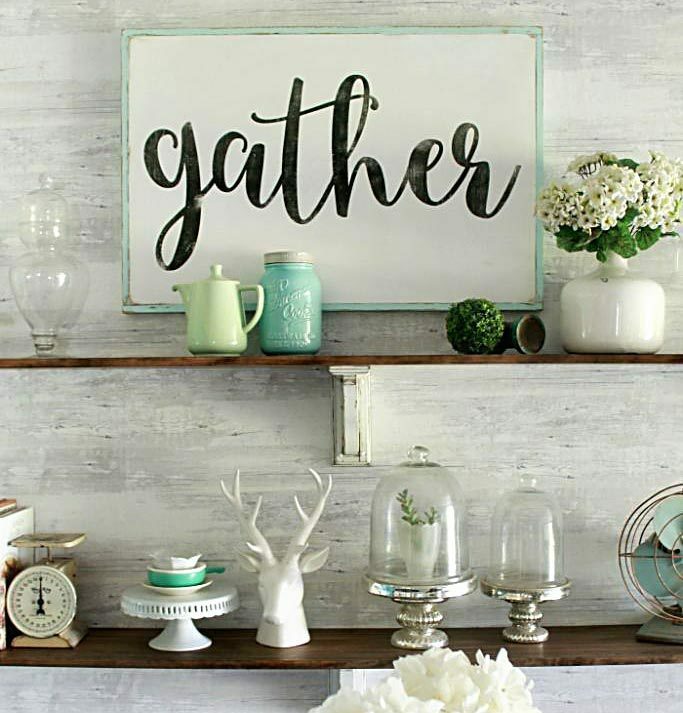 And we added glitter…because a crafter can never overuse the sparkly stuff, are we right!? 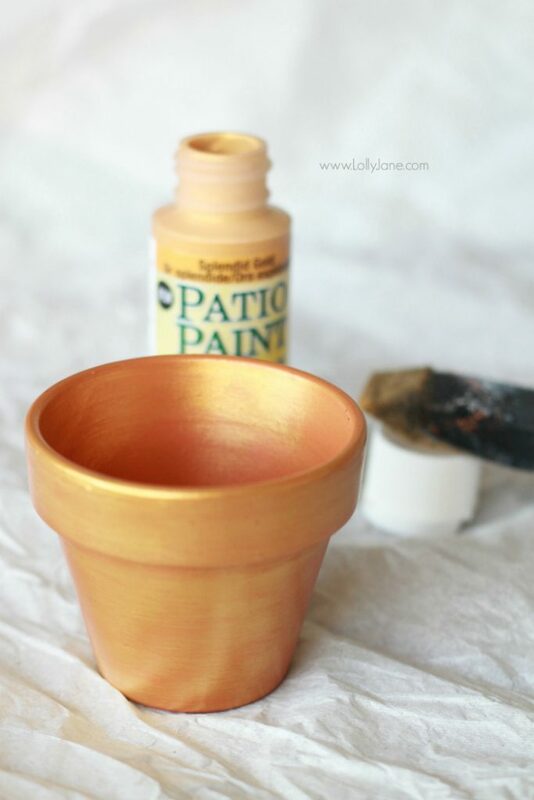 Paint both inside and outside of your pots. 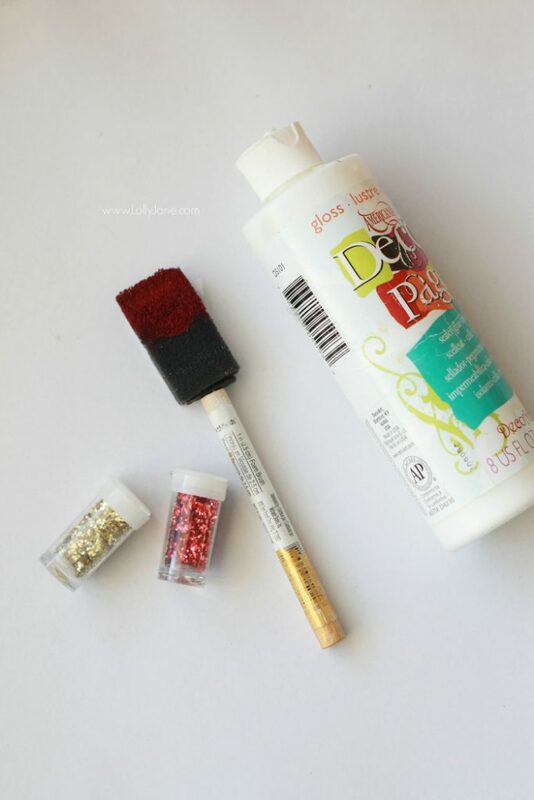 You can reuse same color brushes when applying decoupage, brush on a thick layer around the top rim. 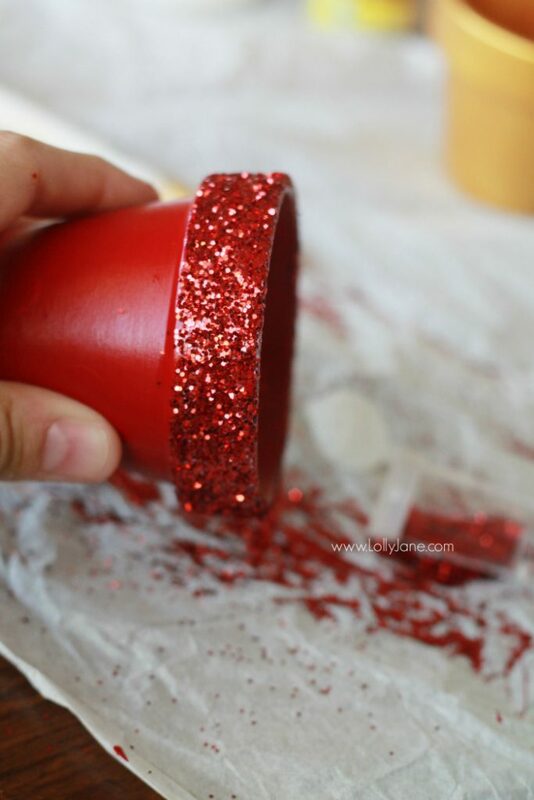 Generously sprinkle glitter onto decoupage. Note: We didn’t take a picture (oopsie) but definitely seal the final pots after the glitter is dry. We prefer Krylon Crystal Clear spray, dries fast and holds strong. That’s all there is to it! Grab some succulents from your local home improvement store ($1.98/each) and you have pretty, glittery decor for under five bucks each! 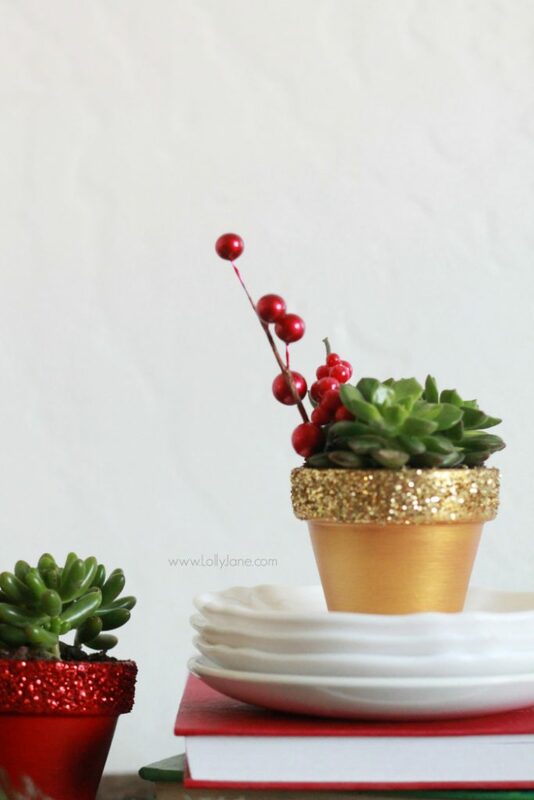 Add some artificial berries to spruce it up for Christmas. 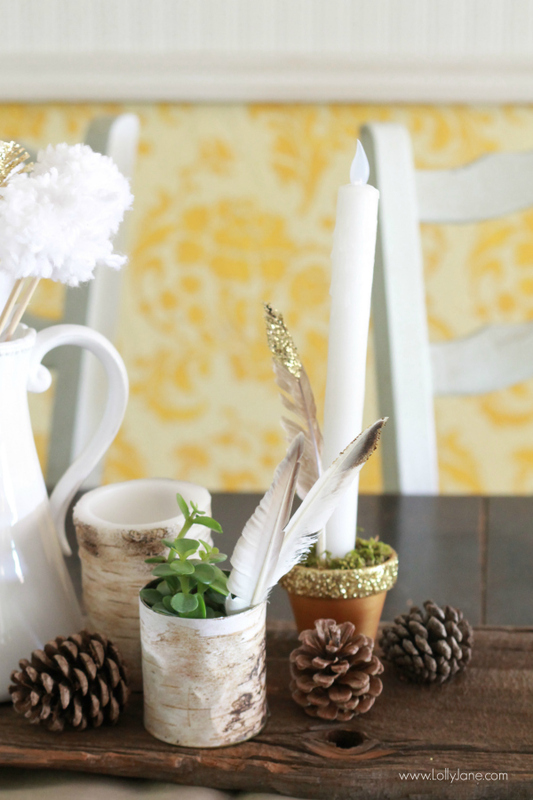 You can tuck some glittered feathers for quick fall decor. Or put the succulents in our faux birch cans, (tutorial coming soon) and add some battery operated candle sticks and moss to your pots. This giveaway would be such a blessing to win! That’s a whole two weeks paycheck for me. My fiancé & I just found out I’m 7 weeks pregnant & moved into a new place last week. It would definitely help us out! Fingers are crossed. Oh congrats, Blayne!! Good luck, mama!! 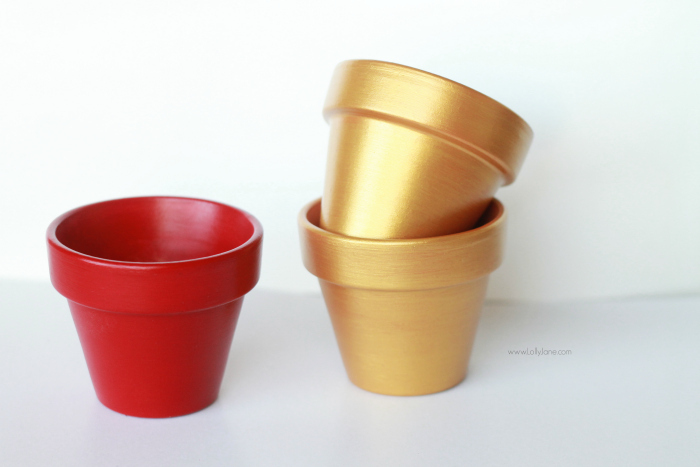 I love these planters. 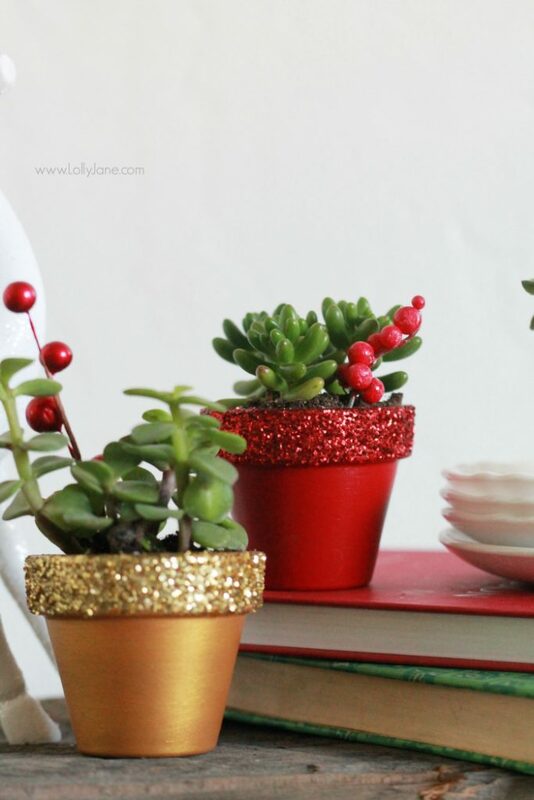 The glitter is gorgeous and gives these planters such a festive feel! Thanks for sharing! Y’all just make things so darn beautiful! Glitter is something the world needs a little more of. Great Paypal give away! I love these pots. So festive and they’d make a great hostess gift.